Black Crowned Night Heron Art Print — I Can Make It! Black Crowned Night Heron Photo — I Can Make It! Who – Teaches the Soul? Nature Teaches the Soul! 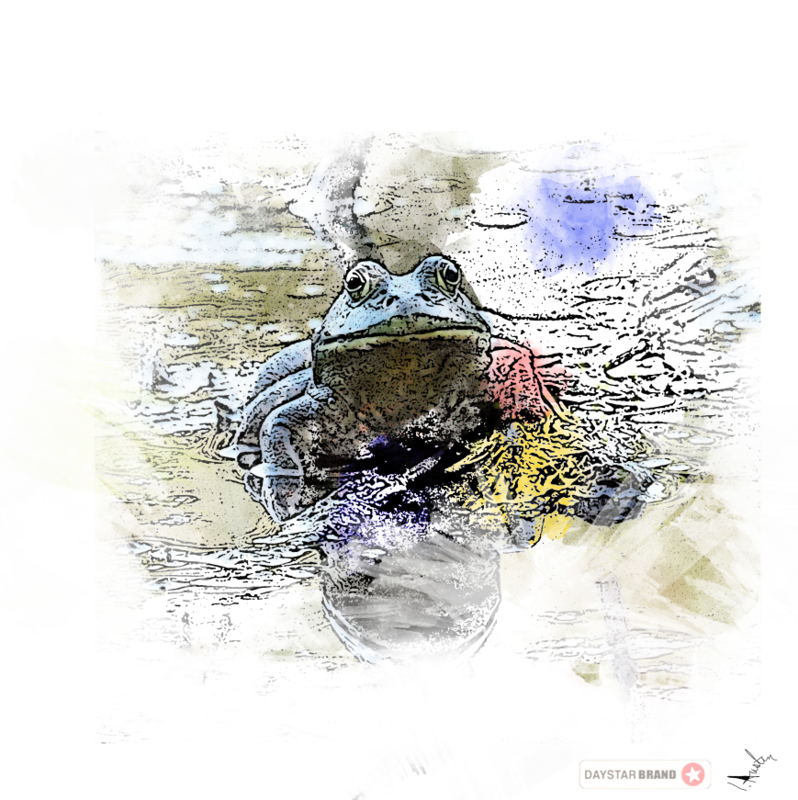 Bullfrogs, Amphibians, Tadpoles Oh My! Early one cool summer morning in a Michigan Wetland, in the hidden forest of Jimme’, There sat an olive green, greenish, yellow yellowish, loud, billowing, king of the wetland sitting in the midst of milkweed, giant lily pads, moss-covered tree branches; in the forefront of edge of the wetland’s edge. 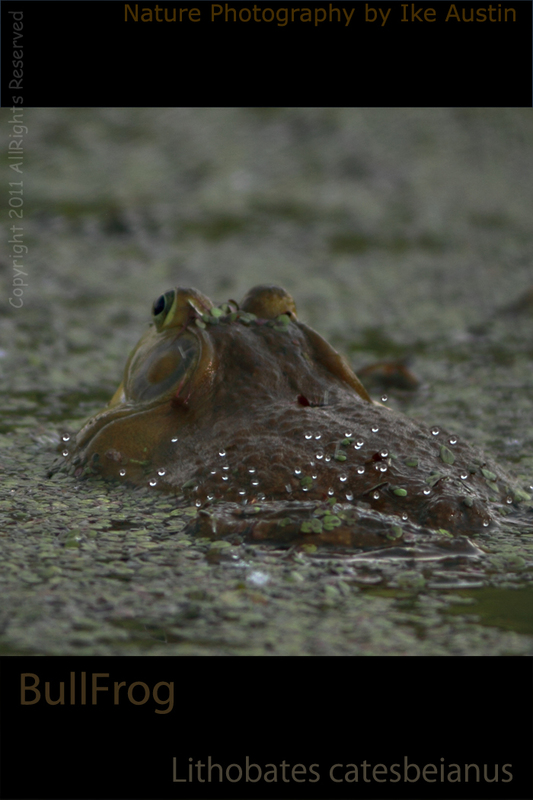 It took me over an hour to slowly sneak up on the Bullfrog so that it would not jump into hiding. After sliding down a large fallen tree stump, I looked out and spotted the Bullfrog at approximately 20-30 feet distance. 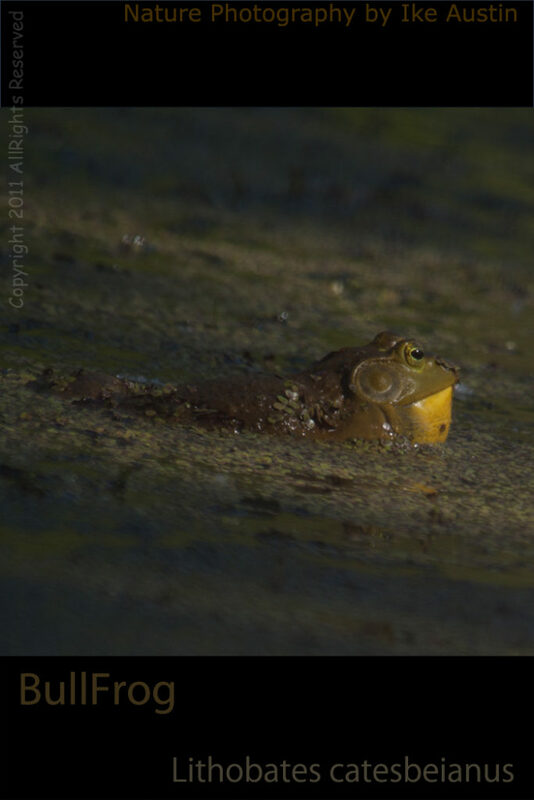 Unaware of my presence, the Bullfrog started it’s booming, resounding mating call. The side of its head and lower chin swelled filling with air and in the next second, it exhaled, echoing a boisterous trademark sound. Green skin, darker green, green about the tympanic ear, brown bumpy pimple of green, black emerald eyes, green ear lines, yellow chin if male, white chin if female, yellow chest, yellow breast, green legs, yellow with darker lined backside. Select your favorite photo to be printed, mounted and framed.